It may not sound appetizing, but hold on and give this hugely popular vegan food additive a second look. Nutritional yeast—referred to affectionately by many people as “nooch”—is a nonactive, cultured strain of the single-celled organism Saccharomyces cerevisiae (technically classified as a fungus). Saccharomyces cerevisiae is grown on molasses and then harvested, washed and dried with heat to kill or “deactivate” it. Because it’s inactive, it is not like regular yeast, meaning it doesn’t froth or grow like baking yeast does, so it has no leavening ability. Note: If you have a known sensitivity to eating mold/yeast, try a small amount of this product. If you have a reaction, don’t add it to your diet. Nooch is sold either as a yellow powder or flakes (larger grocery stores might have the Bob’s Red Mill brand or Bragg brand in the natural-food section). Why eat it? There are two simple reasons: Taste and nutrition. Nutritional yeast is added to foods to create a savory, nutty flavor that really does taste a lot like cheese. Nooch is a nourishing nondairy substitute for those who can’t or choose not to eat dairy. But even if you’re not vegan, nooch offers a load of nutrients with few calories and little saturated fat. It also has less sodium than real cheese. Nutritional yeast is rich in B vitamins, folic acid, selenium, zinc, fiber and protein (a complete protein at that). It’s gluten-free and contains no added sugars or preservatives. Most, but not all, commercially sold nutritional yeast has been fortified with B-12. Vitamin B-12 is found in animal foods, so prudent vegans must supplement their diets with a reliable source of B-12. Most healthy adults require 2.4 micrograms (mcg) of vitamin B-12 each day. Bob’s Red Mill Nutritional Yeast, for example, contains 3.5 mcg of the vitamin in a two-tablespoon serving. Best ways to enjoy nooch: Use it much like you would Parmesan cheese—sprinkle it on popcorn or roasted vegetables…add it to pasta sauce or salads…or mix into yogurt-based dressings and flours. To get a taste of nutritional yeast, whip up the following delicious recipe. It’s a quick and easy take on roasted cauliflower. Serve it warm as a perfect side dish with grilled fish or chicken breast or with quinoa or tofu if you’re vegan or vegetarian…or even as a crowd-pleasing cookout appetizer. Preheat oven to 375°F. Line a baking sheet with parchment paper. Wash and chop the cauliflower into bite-size pieces. In a large mixing bowl, whisk together the olive oil, sesame seeds and yeast. Add the cauliflower to the mixture, and toss until all the pieces of cauliflower are evenly covered. 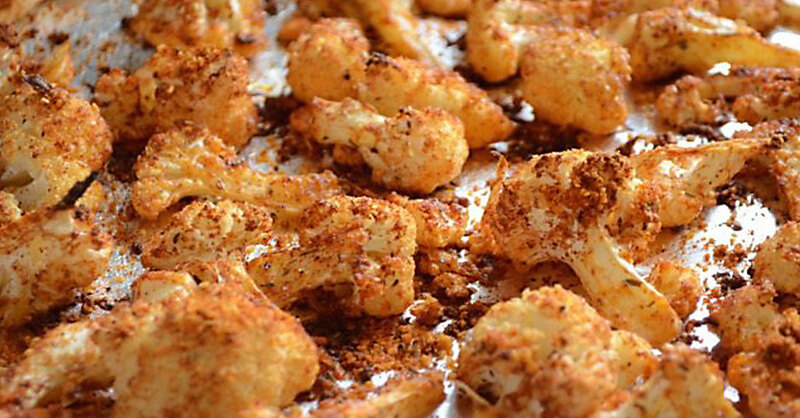 Place the cauliflower on the baking sheet, and bake for 30 minutes or until light golden brown. Makes four servings. Calories, 90…fat, 5 g…cholesterol, 0 mg…carbohydrates, 9 g…dietary fiber, 4 g… protein, 5 g…sodium, 55 mg.